Silafix container creates a good clear overview allowing quick access to products. | George Utz Ltd. This storage bin SILAFIX, helps the storage of various products. Create a good and clear overview is in your warehouse - allowing a quick access to all products. 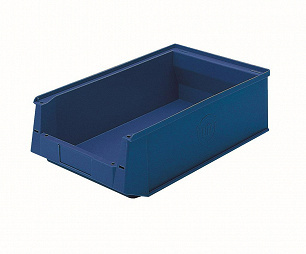 This storage bin plastic in blue is available in size 500/450x310x145mm.